When will be Mahou Shoujo? Naria☆Girls next episode air date? Is Mahou Shoujo? Naria☆Girls renewed or cancelled? Where to countdown Mahou Shoujo? Naria☆Girls air dates? Is Mahou Shoujo? Naria☆Girls worth watching? Urara, Hanabi, and Inaho aim to become famous throughout Japan by creating anime renditions of themselves. To be a hit with everyone from kids to adults, they choose the theme of "magical girls." Now they aim to broadcast their one-cour (quarter of a year) magical girl anime. Mahou Shoujo? Naria☆Girls next episode air date provides TVMaze for you. EpisoDate.com is your TV show guide to Countdown Mahou Shoujo? 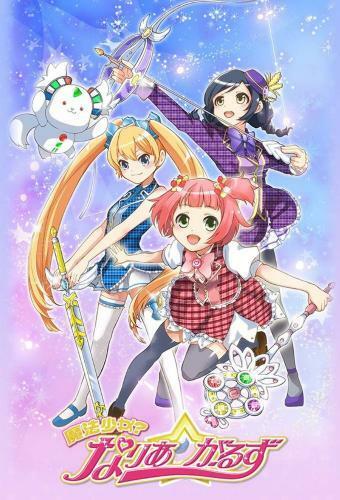 Naria☆Girls Episode Air Dates and to stay in touch with Mahou Shoujo? Naria☆Girls next episode Air Date and your others favorite TV Shows. Add the shows you like to a "Watchlist" and let the site take it from there.